Welcome to your best source for Vienna, VA Jumbo Loans! My wife, Joey Washington Saunders and I live in Vienna, VA. It was CNN Money Magazine’s 2005 August issue that recognized Vienna, VA as the fourth “Best Places to Live” in America. We agree! Vienna is a fabulous place to live. Vienna, VA is one of the unique cities in Northern Virginia where some residents live in the Town of Vienna and others outside the Town of Vienna. All Vienna residents live in the County of Fairfax. So the Town of Vienna, where we live, is a town with a separate governing body inside the County of Fairfax. We love this about the Town of Vienna because it brings this small town feeling to it inside a thriving world class county and Metropolitan community. Vienna, VA is located just outside the Capital Beltway and is quickly accessible to Washington D.C. via the Orange Line on the Washington Metropolitan Area Transit Authority (WMATA). The location being minutes to Washington, D.C. by car or subway and the charming life style afforded its residents makes Vienna, VA a great place to call home. These two attributes has made living in Vienna, VA more expensive and sometimes prices of homes require Jumbo Loans pricing in the Mortgage business. Because Vienna, VA is a prospering area some of the prices of Vienna, VA real estate greatly benefit from our Jumbo Loans expertise. We are in the wholesale Jumbo Loans Mortgage market in Vienna, VA and offer Jumbo Loans for the entire state of Virginia. Our Vienna, VA Jumbo loans wholesale Mortgage expertise attracts both the real estate professionals and Vienna, VA residents. 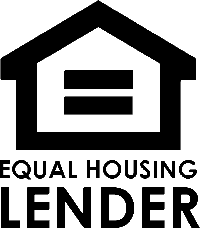 To earn your Vienna, VA Jumbo Loans Mortgage business our wholesale Jumbo Loans Mortgage Broker business foster lenders to compete to bring you savings. Jumbo Loan Mortgage rates change regularly and we are here to help you evaluate if it is the right time to lock in a rate whether you are financing or refinancing your Vienna, VA Jumbo Loan. When financing the purchase of a new dream home or financing or refinancing an existing dream home in Vienna, VA we make the Jumbo Loans process enjoyable for you. As a Vienna, VA Jumbo Loans Mortgage Broker, meeting your needs is a top priority for us. We know when lenders compete for your Jumbo Loan business you will save. We really are the best way to go for you when financing or refinancing a Vienna, VA Jumbo Loan. Call us at 703-281-RICK (7425) and allow our Jumbo Loans expertise to work for you. 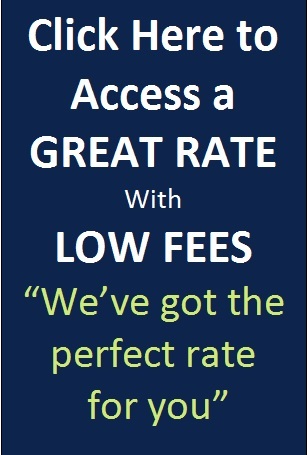 Experience the power of the wholesale Vienna, VA Jumbo Loans Mortgage market because you are the one who saves! We look forward to working hard and smart for you to meet all of your Vienna, Virginia mortgage loan needs. Thank you.